All Tommy wanted from Blake was to give him a single day to expose him to whatever Blake needed to know. And then on the decided day Tommy takes Blake on an incredible journey to meet four awesome teachers all of them having regular jobs – housekeeper, ski instructor, gardener, and massage therapist, yet they possess vast knowledge about LWT philosophy and they were living an incredibly wonderful life. At the end of the day Blake has a whole new perspective and a fresh start to make at the bookstore, to Lead Without a Title. 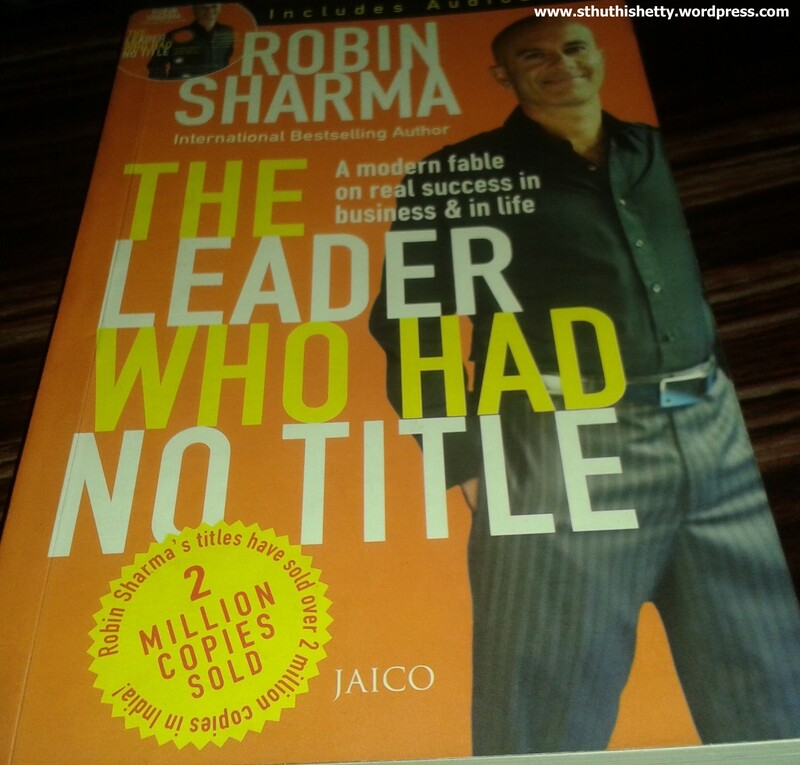 This book inspires you how to become a leader and achieve success irrespective of your position or your job at workplace. It truly is a modern fable on real success in business and life. You could be a sweeper, a flower seller or multi-million business owner by profession, you can create huge impact on the world around you. I am not a big fan of self-help books , specially one advertising by success in 7 days or 24 hours. No one can just succeed in 7 days by reading one book but this book was different. This self-help book captured my attention with a TLWHNT, every one claim for title, measure their success with the position they reached and this book taught me it’s not the position which matters, its the satisfaction which matter. This doesn’t give you any short cut rule for success (there isn’t any) but it will tell you how can you train yourself for the competitive world around you.